Yes, it really does have Port Ellen in it. The Johnnie Walker ‘Blue Label’ moniker is synonymous with luxury and rarity, so it’s fitting that when Diageo decided to blend together some of their rarest whisky stocks, they would release it as an extension of the Blue Label range. But that’s pretty much where the lineage to the ‘common’ Blue Label ends, as this new release from the striding man is almost in a league of its own. 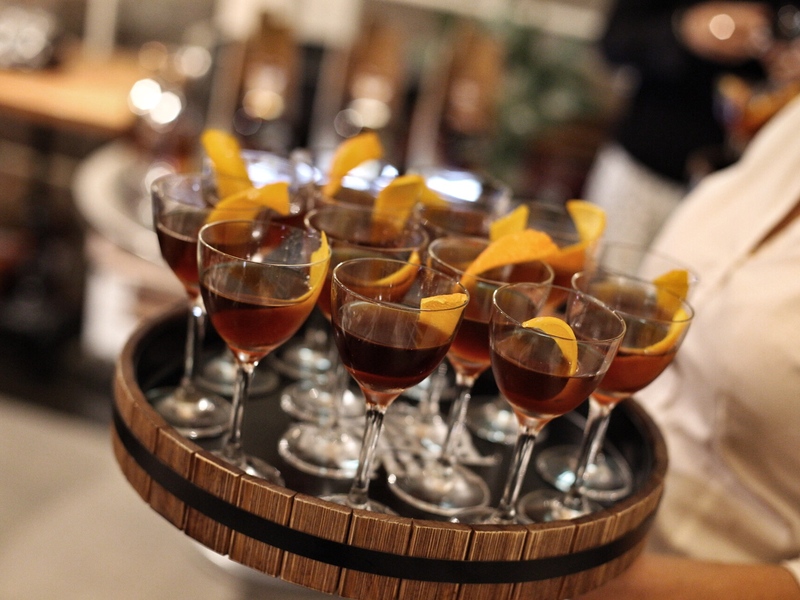 The new release I’m talking about is the Johnnie Walker Ghost and Rare Port Ellen and I was fortunate enough to attend a special preview tasting last week held at one of Sydney’s finest diners, Bennelong, at the Opera House. The ‘Ghost and Rare’ element of the name comes from the malt and grain whiskies used in this blend, specifically those from the closed distilleries of Caresbridge and Calendonian (both grain distilleries), along with the fabled golden child of Islay, Port Ellen distillery. Port Ellen’s history dates back nearly 200 years to the 1820s when it was founded on the south coast of Islay, the little island we now know as home to Scotland’s peated (or ‘smoky’) malt whiskies. It produced whisky for over 100 years before being sold to DCL, who we now know as Diageo, the parent company of the famous Johnnie Walker brand. After only a few years of ownership, Port Ellen was temporarily closed for some 37 years, before it was eventually brought back to life in 1967. The resurrection would be short-lived though, as the whisky glut of the 1980s hit hard. Diageo – owners of Port Ellen, Lagavulin and Caol Ila – had a tough decision to make, and in 1983 Port Ellen was closed for good. In the decades that have passed since, the ever ageing (and dwindling) stocks of this lost Islay distillery have become some of the most sought after single malts in the world. So when you see a Johnnie Walker release with the name ‘Port Ellen’ on the bottle, it’s the kind of thing that piques your interest. The other thing to note is this; with Port Ellen and Caresbridge closing in 1983 and Caledonian closing in 1988, you have some seriously well-aged whisky in this blend. Aside from those three Ghost and Rare distilleries, malts from Mortlach Dailuaine, Cragganmore, Blair Athol and Oban also make an appearance, so this should be interesting. On the nose I found it quite tropical, with some overripe, almost effervescent stone fruit. Behind that though were some interesting heaving notes; workshop grease, wet rocks and a salty maritime note. The palate had a strong link to the nose with much of the above, along with a touch of citrus and a classy, tropical maritime peat note. Is the Port Ellen really evident? Normally I would be a bit skeptical and wonder whether my mind was playing tricks on me. I know it has Port Ellen in it. It even says so on the bottle. So am I just convincing myself I can taste the influence on that rare malt? That would certainly be plausible, but I don’t think that’s the case with this one. Here’s an interesting thing about this release. The absence of a certain detail makes this just as interesting as the inclusion of detail (top marks to Diageo for telling us what’s in the bottle!). The peat influence in most Johnnie Walker expressions comes from a healthy dose of Caol Ila, but a quick glance at the bottle confirms that Caol Ila is indeed absent from this release. In actual fact, the only whisky in this bottle with any kind of discernible peat and maritime note is the Port Ellen. So while we don’t know exactly how much Port Ellen is in there, it’s enough to let you know it’s there! So as I asked last time – a clever marketing move? Of course it is! But it’s so much more than that. It’s genuinely tasty whisky, with some genuinely old and rare liquid in it and it’s been put together in a very clever way. To think of this as a standard bottle of Johnnie Walker Blue Label with a splash of Port Ellen is missing the point. Canadian Club probably isn’t the first whisky brand that comes to mind for the average reader of this site. But just because it’s not, doesn’t mean you should ignore the the history of the brand and the impact it’s had on whisky-drinking markets the world over. Long before it became a top-selling brand in Australia it had some seriously strong links to a very pivotal period in whisky history; the era of prohibition in America. After founding his distillery in 1858 in Detroit, prohibition (among other things) would prompt Hiram Walker to up and move across the border to what’s now known as Windsor, Ontario in Canada. Although there was a constitutional ban on alcohol in place, prohibition didn’t exactly hurt Canadian Club’s sales, far from it. They’d already made a name for themselves in the United States before 1920 thanks to their well-aged, ‘Canadian’ style of whisky. So when the laws kicked in and local whiskey became hard to find, Canadian Club would go on to become one of the most heavily smuggled brands, thus cementing itself as a solid whisky favourite once the laws were eventually repealed in the 1930s. By the 1940s Canadian Club was sold in over 90 countries; fast forward a further six decades and it continues to be hugely popular the world over. In recent years in Australia we’ve seen big-spend campaigns marketing ‘CC and Dry’ as a beer alternative and you’ll even find it pre-mixed on tap in plenty of venues around the country. It’s been hugely successful for the brand and has been responsible for attracting plenty of new people to the whisky category. In fact it’s done so well that that Canadian Club has recently become the fastest growing spirit brand in Australia. So whilst it might not be the single malt whisky-sipper’s whisky of choice, there’s no denying CC’s immense popularity. Thanks to this success, Canadian Club have recently chosen the Australian market as the global launch pad for their newest release, the Canadian Club 8 year old and have kindly sent over a bottle to Whisky Ledger HQ for a bit of a road test. The new expression sits firmly between the standard release and the 12 year old (in terms of age), but I’m told that it’s not actually the same whisky. With the 8 year old expression, the mashbill of grains used contains a higher malt and rye content compared to its siblings, so I’m expecting to get some nice ‘rye spice’ notes on this. Tasted neat, the nose has plenty of caramel, creamy vanilla and a touch of baking spice. This same general profile carries through to the palate delivering flavours of creamy caramel, honey, pastries and baked goods and nice gently spice on the finish. There’s a good chance this will be consumed mixed though, so I put it to the test in a classic highball (CC & soda with a squeeze of lime) along with the ever popular CC and Dry (ginger ale) and yep, they’re both pretty darn refreshing. Whilst it won’t convert me from being a beer drinker, I can definitely imagine this going down a treat in summer! The Canadian Club 8 year old is exclusively available in Australia (for the moment, at least) at a recommended retail price of AU$50. Glen Moray celebrates its 120th anniversary this year and to mark the occasion they’ve released something pretty special. But I’ll get to that in just a sec. I was first introduced to Glen Moray in a slightly unconventional way after tasting their whisky bottled as a single cask for the Scotch Malt Whisky Society (SMWS). On paper, the whisky I tried sounded fairly pedestrian. It was from a refill bourbon cask and was mid-teens in age, but the spirit quality that came through on that particular cask really caught my attention. SMWS have gone on to release some pretty stellar casks from Glen Moray and I’ve bought many of them (especially those toasted oak releases). Trying big, punchy single casks is all well and good, but it dawned on me a little while ago that I haven’t really tasted that many of Glen Moray’s original bottlings, the ones you can easily find on the shelf at your favourite bottle shop. That’s been on my to do list for a little while now and thankfully I recently had the chance when Master Distiller, Graham Coull made the trek to Sydney to launch his latest creation. 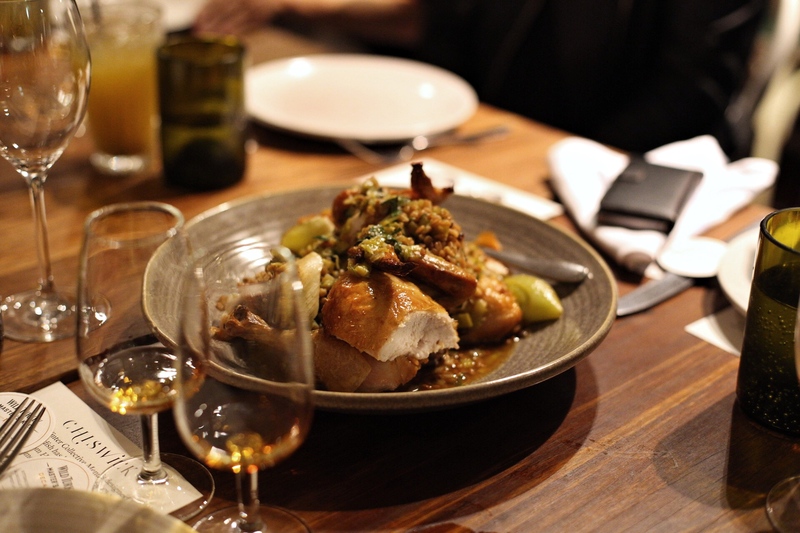 I was generously invited to a long-lunch one Friday, held at The Roosevelt in Potts Point to taste through not only the core range, but also the range-topping, limited release known simply as the ‘Mastery’. On arrival we were treated to the flare that’s synonymous with The Roosevelt, enjoying a nitrogen Glen Moray ‘Triple Wood’ cocktail, garnished with a thistle and served alongside a moreish haggis oatcake. That would have done me just fine, but moving through to the dining space we were in for a treat as a five course meal followed, each dish paired with a whisky from the core range, including whiskies from the Classic range, along with their age-stated siblings. I didn’t take detailed notes on each, but it was great to be able to taste them all back-to-back and be able to form some general observations. I genuinely like the spirit character of Glen Moray and feel as though it lends itself well to ex-bourbon cask maturation. The young Glen Moray Elgin Classic was spritely and fresh, whilst the older age stated expressions like the 12 and 15 year old definitely showed more maturity and depth. The Chardonnay cask is really quite interesting, bringing an earthy oakiness to what’s normally quite a light fresh spirit, whilst the port cask finish is entirely moreish (to me, anyway). 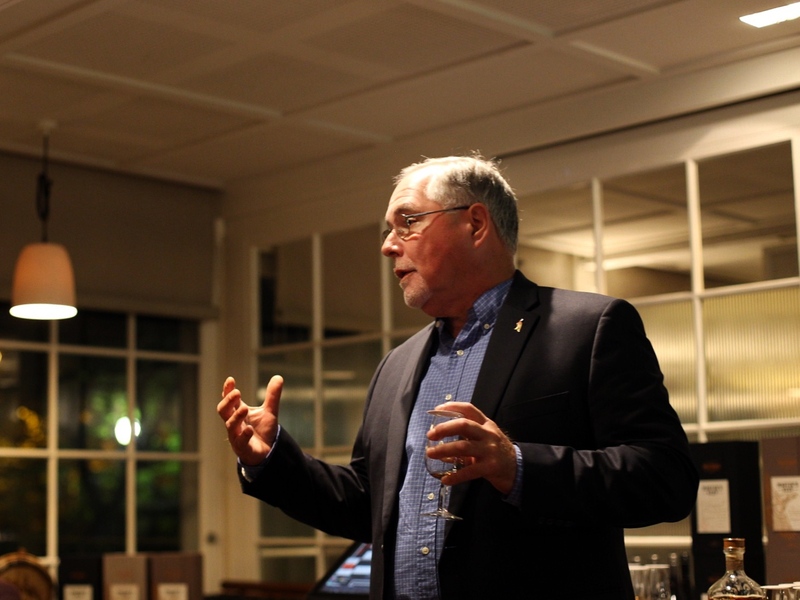 Graham let us in on some interesting info on this one, informing us that it starts life as a five year old ex-bourbon matured Glen Moray before being finished in a port pipe for a whole year. Why a year? Well, in Graham’s words “If you’re finishing something, you should always give it a full summer as that’s when the real wood interaction happens”. A super drinkable dram that comes in at only $50 a bottle! I’m struggling to think of another whisky at that price point with that level of flavour. Graham also let slip that there are a few other finishes being added to the Classic range in the near future, include whisky finished in Cab Sav, Rum and Sauternes casks, so keep an eye out for those! Back to the main subject of this post though, Glen Moray’s 120th anniversary and the new Mastery! The whisky can best be described as a multi-vintage single malt, which combines Glen Moray distilled in the 1970s, 80s and 90s. Graham wanted to include some of the oldest stocks in the warehouse when putting this together, so 20% of the make-up includes ex-Port cask whisky distilled in 1988, whilst 80% of the whisky in the Mastery was distilled in 1994 or earlier. The heart of the whisky was finished in Madeira casks and to really lift the sweetness even further Graham also blended in some ex-sherry casks from the 1990s. That’s about as much as I can tell you, as Graham insists on keeping the final recipe of The Mastery a closely guarded secret! On the nose it’s completely different to any other Glen Moray I’ve tried. It’s rich and deep, with notes of beeswax, dried fruits and chocolate. It’s jammy, with raisins, apricots, toasted nuts and even something a touch smoky, like dried tea leaves or coal ash. Super inviting stuff and a dram you could nose for hours. On the palate it’s thick and oily, with a chewy sweetness of dried fruit and dark jammy flavours. There’s a touch of spice, some dark chocolate and oak, but not in an overwhelming way. The port casks used in this really shine through nicely. It’s a properly tasty whisky, but then again, you’d hope it would be considering it comes in at a cool $1,400 a bottle. Just eight of the individually numbered decanters will be arriving in Australia, so if you’d like to get your hands on The Mastery, get in touch with your nearest Dan Murphy’s flagship store. A special thank you to the truly down to earth Graham Coull and his lovely wife Faye for making the trip down here to present this great experience. I look forward to seeing you both again, hopefully at Glen Moray next time. It’s Father’s Day here in Australia on Sunday 3 September and The Macallan reckon their new 12 year old Double Cask expression would make the perfect gift for any Dad. So, what better way to validate that then putting it to the test with my very own Dad! That’s a classy looking bottle! It’s got broad-shoulders and I like the colour and design on the box. It’s really eye-catching and the blue looks great with the gold accents on it. Very smart. What’s the ‘double cask’ thing mean? Good question Dad! Not to be confused with the Macallan 12 year old Sherry Oak (or the 12 year old Fine Oak); the Double Cask is an entirely new expression that has only just recently hit Australian shores. The Double Cask gets its name from the fact that two different cask types are used in the maturation process; a mixture of both American Oak and European Oak casks, seasoned with sherry. Keen Macallan fans might be aware that the 12 year old Sherry Oak expression from Macallan is also made up of a combination of American Oak and European Oak casks, so what’s the difference? The Double Cask reportedly has a higher proportion of American Oak in the mix, so along with the dried fruit sweetness from the sherry, I’m expecting to find some big honey and vanilla notes in there too. Only one way to find out! And with that, Dad poured himself a second glass, No, seriously, he did..
Quite a rich nose with warming honey, oak and light spice. I get notes of poached or stewed fruits and nuts (hazelnuts, pecans, walnuts), with a dose of brown sugar and candied orange. The palate is thin initially, but with a bit of a citrus burst. I get flavours of orange marmalade, vanilla custard and honey and runny toffee; fading to a slightly bitter finish of oak and light spice. So if you’re still struggling with ideas for Dad (or if you just feel like spoiling yourself), keep an eye out for the Macallan 12 year old Double Cask which can be found on shelves now. A special thanks to The Macallan for the bottle pictured here. I’m pleased to say that it well and truly passed the Dad test. 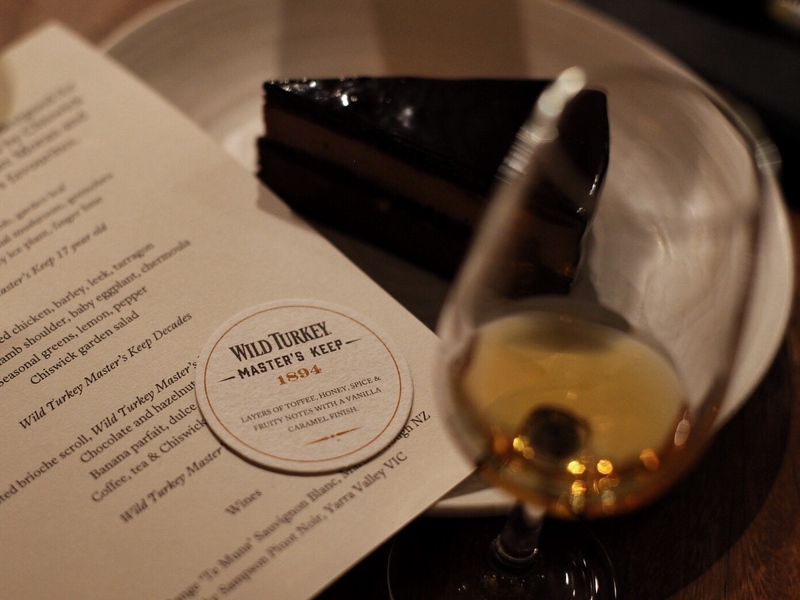 Wild Turkey are probably best known for their easily accessible and affordable bourbons, things like the classic Wild Turkey 101, their Rye and the Rare Breed expression. But every now and then they come along and surprise us with what can best be described as a premium release. The great thing about their ‘premium’ releases though is that they’re not show-pony bottles of unobtainium; things that look good on a shelf, but that you’d never actually enjoy. 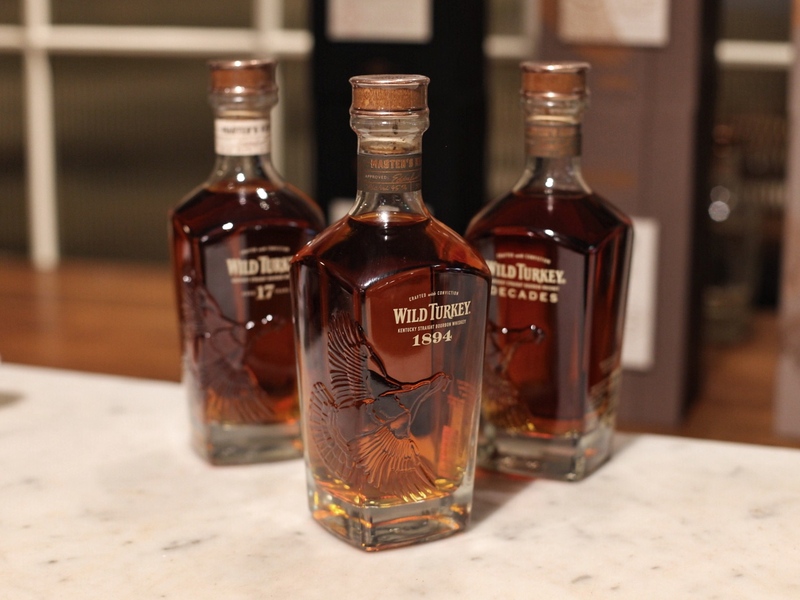 Rather, they’re generally bourbons that carry the classic Wild Turkey profile, but give us something a little bit different to the core offerings. And the best part? They’re still accessible and affordable. In recent years we’ve seen a few premium releases such as the Master’s Keep 17 year old (2015) and then last year’s Master’s Keep Decades release (hugely enjoyable – tasted here). At that point it became apparent that the ‘Master’s Keep’ was going to be an ongoing series, but that wasn’t always going to be the case. 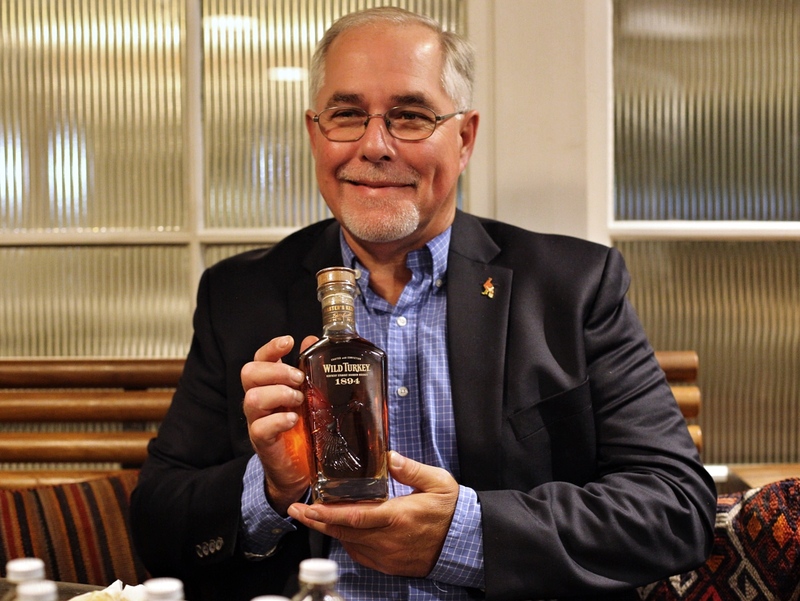 According to Eddie Russell, the Master’s Keep was never intended to be an ongoing release, but once they saw how nice the new bottle design had turned out, they knew they wanted to keep using it. 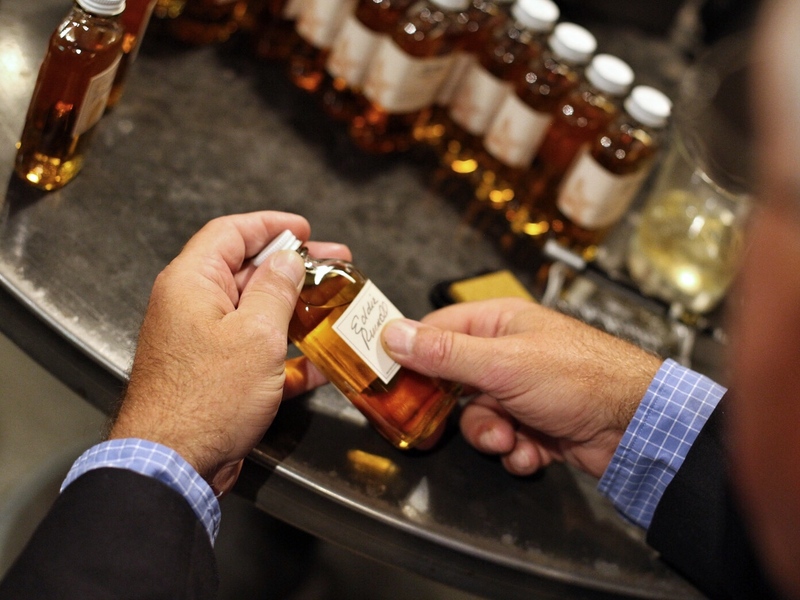 So ever since the Decades release last year, many bourbon fans have been patiently waiting to see what the next instalment would be in the Master’s Keep collection. 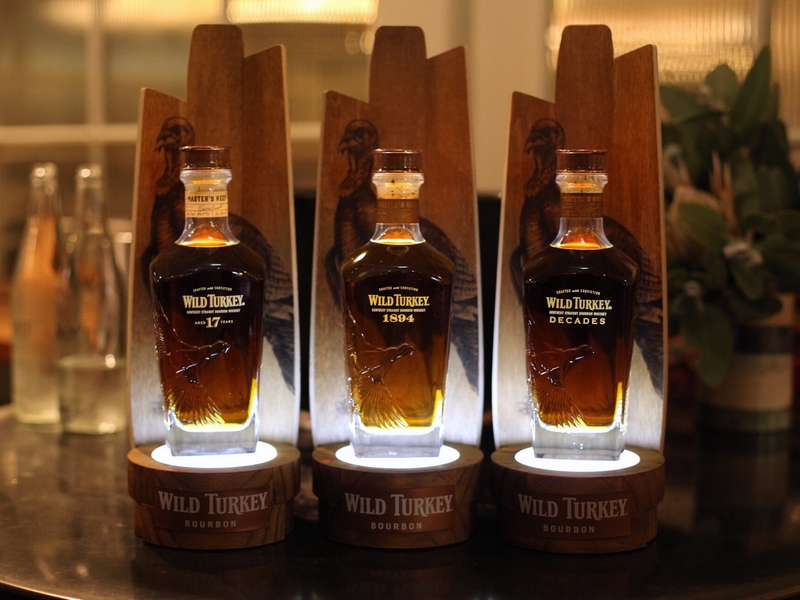 Well, say hello to the new Wild Turkey Master’s Keep 1894. The man himself, Mr Eddie Russell, made the trip all the way down here to Australia to launch the new Master’s Keep 1894 and I had the pleasure of being invited along to an intimate dinner at Chiswick to celebrate the occasion. If you ever thought Kentucky was south, trying coming all the way down here to Australia. It’s about as south as you’re going to get before you hit Antarctica, so I genuinely mean it when I say that it’s always a delight when distillers make the effort to come and visit us. A delicious meal ensued whilst Eddie talked us through tastings of the two previous Master’s Keep releases, along with the new 1894. The previous Master’s Keep expressions were fairly self-explanatory in terms of their names corresponding to what was in the bottle. The Master’s Keep 17 year old was just that; some super old Wild Turkey that had been aged for 17 years (in brick warehouses) before being bottled. The Master’s Keep Decades was a nod to the fact that the whiskey inside was a blend of bourbon aged between 10 and 20 years. So when the Master’s Keep 1894 was announced, I struggled to make the connection. Google wasn’t a whole lot of help, but thankfully Eddie filled in the blanks with a bit of a back-story behind the significance of 1894. It was in that year that the oldest rickhouse at Wild Turkey was constructed, now simply known as Rickhouse A. Fast forward nearly 100 years to the year 1981. A spritely 21 year old Eddie Russell has just started his first job at the distillery in the summer as a General Helper (yes, that was his official title! ), pocketing the princely sum of $6.58 an hour. He’s been there for a full week now and on his second Friday of work, he noticed a group of guys knocking off around 3.30pm and heading into one of the rickhouses. The invite him along and it’s here that he gets his first taste of whiskey straight from the barrel. That warehouse was Rickhouse A. To this day, Eddie claims it was the best bourbon he’s ever tasted and so he decided to dedicate this release to that memorable moment. You may have guessed it already, but all of the whiskey in the new Master’s Keep 1894 has been hand-selected by Eddie Russell, exclusively from Rickhouse A.
I had the chance to sit down and ask Eddie a bit more about the 1894 and whether there was a specific profile he was searching for when he put it together. He happily tells me “I knew there was a parcel of 2003 vintage barrels in Rickhouse A that had this amazing fruit profile – full of pears and apple spice – so when I was asked to create the 1894, I knew I wanted to use these”. These barrels were around 13 years old and were eventually paired with a parcel of barrels from 2005 and 2011. So for those who like to know the nitty gritty, the new Master’s Keep 1894 can be described as a vatting of 13, 11 and 6 year old bourbons. Bottled at 45% ABV (90 Proof) the nose is very much the way Eddie describes it – fruity! I got notes of honey, slightly underripe banana, stewed rhubarb, dried pears and apples. These notes were balanced nicely with lashings of caramel, spice and vanilla. The palate is quite thin, but delivers more of those fruit notes, almost like a fruity banana/ apply split with sweet creamy vanilla ice cream, soft rye (baking) spice, runny caramel and whipped cream. Now, depending on where you’re reading this from, there’s some good news and some bad news. If you’re reading this from Australia, the good news is that 10,000 bottles of the new Master’s Keep 1894 have just landed in the country and should start hitting shelves soon, so keep an eye out for them! If you’re reading this from somewhere other than Australia, the bad news (for you) is that the new Master’s Keep 1894 is exclusively for the Australian market. Fear not though! A fourth installment of the Master’s Keep series will be released next year (yes, this one will reach other markets), along with another special project that Eddie is working on with actor – and Wild Turkey Ambassador – Matthew McConaughey. 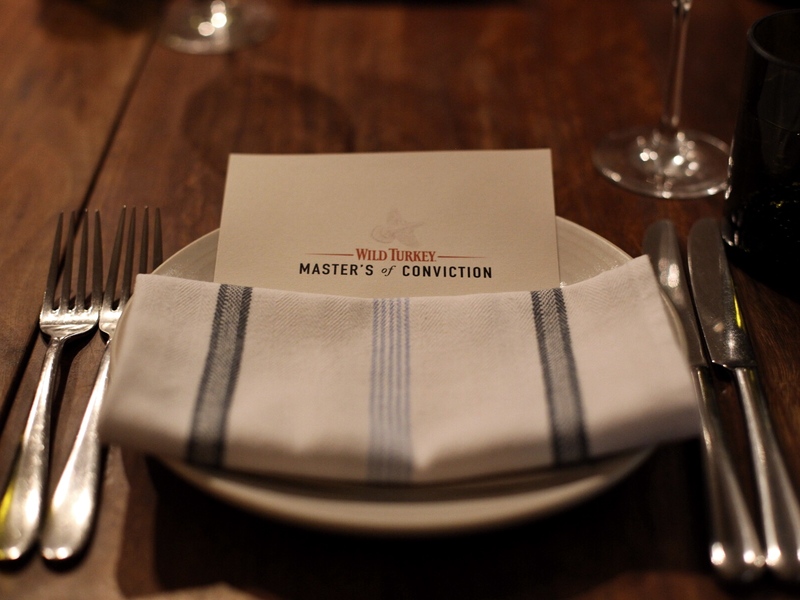 An experience like this is not one I’ll forget anytime soon, so a sincere thanks goes out to Wild Turkey Australia for the generous invitation and to Mr Eddie Russell himself for making the effort to come all the way down here.